MERCATOR, G. / HONDIUS, J. - Anglia. Anglia. - MERCATOR, G. / HONDIUS, J. Size : 5.4 x 7.3 inches. / 13.8 x 18.5 cm. 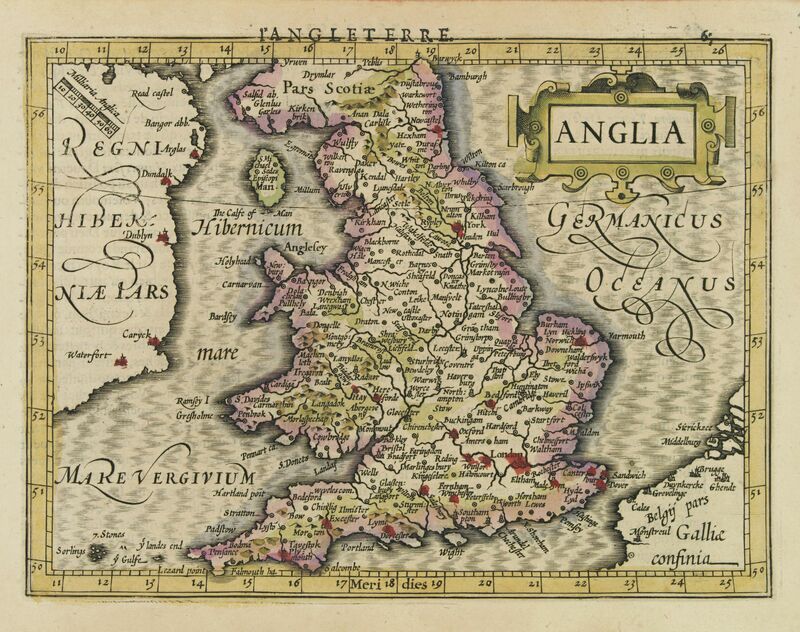 Description :Map of England, from the first French-text edition of Jodocus Hondius'' Atlas Minor. Condition : Some browning of the paper.